Delta Air Lines has announced it will give Boston customers more flights and enhanced service in 2018, with new daily service to Charleston, S.C. as well as additional flights to four top business markets beginning on June 8. New Saturday seasonal service to Aruba will also begin on June 9. In response to healthy demand from Boston business customers, Delta will increase flights on June 8 to these four markets. These additional flights will offer convenient morning and evening travel options for Boston business customers. The new service is denoted with an asterisk. Delta is enhancing existing service to Buffalo, N.Y. also effective June 8. Delta will offer customers larger CRJ900 aircraft with seating for 12 in First Class, 20 in Delta Comfort+ and 44 in the main cabin, featuring a two-by-two seating configuration and complimentary entertainment via Delta Studio in addition to in-flight WiFi access. With this upgrade, all Delta Boston flights will feature First Class service. Delta will offer Saturday service nonstop to Aruba beginning on June 9 through Aug. 18 on Boeing 737-800 aircraft with seating for 16 in First Class, 36 in Comfort+ and 108 in the main cabin. Additionally, previously announced seasonal weekend service to New Orleans begins Feb. 10, and Savannah begins March 3. Nonstop daily service to West Palm Beach and twice daily service to Fort Lauderdale/Hollywood began Dec. 21 with daily Fort Myers service running daily through April 8. Recent Boston service investments bring Delta to 113 peak-day departures by this summer, an increase of 20 departures compared with summer 2017 and 30 departures over summer 2016. Delta and its partners serve 50 total destinations from Boston, including 18 international destinations and the largest transatlantic network. Delta is the No. 1 carrier between Boston and New York, connecting business travelers with the Delta Shuttle, operated by Delta and its connection partner Republic Airline, with hourly service 16 times daily on week days between Logan Airport and New York City’s LaGuardia Airport as well as offering eight daily flights to New York-JFK. Copyright Photo: Delta Connection-Endeavor Air Bombardier CRJ900 (CL-600-2D24) N302PQ (msn 15302) JFK (Jay Selman). Image: 403616. 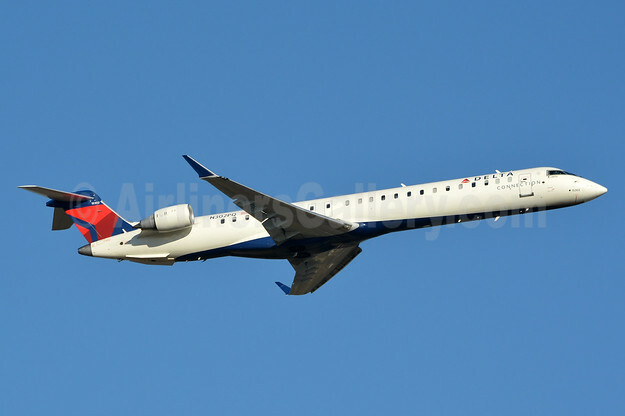 This entry was posted in Delta Air Lines, Delta Connection, Endeavor Air and tagged Bombardier CRJ900 (CL-600-2D24), BOS, Boston, Delta Connection-Endeavor Air, msn 15302, N302PQ on January 16, 2018 by Bruce Drum.